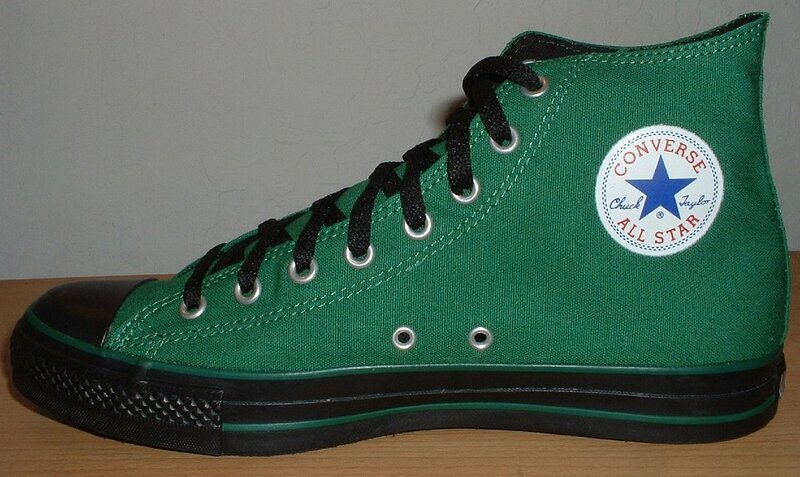 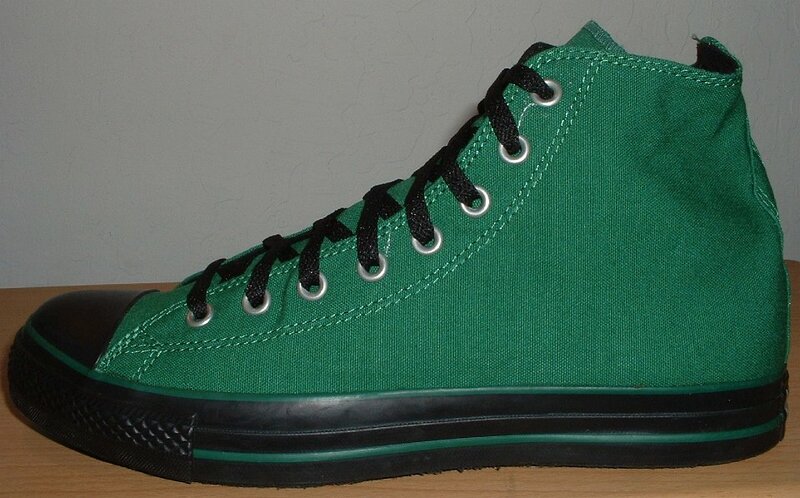 Photo gallery of green and black goth high top chucks. 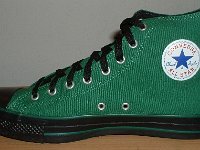 1 Goth High Top Chucks Left green and black Goth high top, inside patch view. 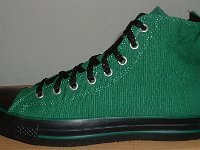 2 Goth High Top Chucks Left green and black Goth high top, outside view. 3 Goth High Top Chucks Right green and black Goth high top, inside patch view. 4 Goth High Top Chucks Right green and black Goth high top, outside view. 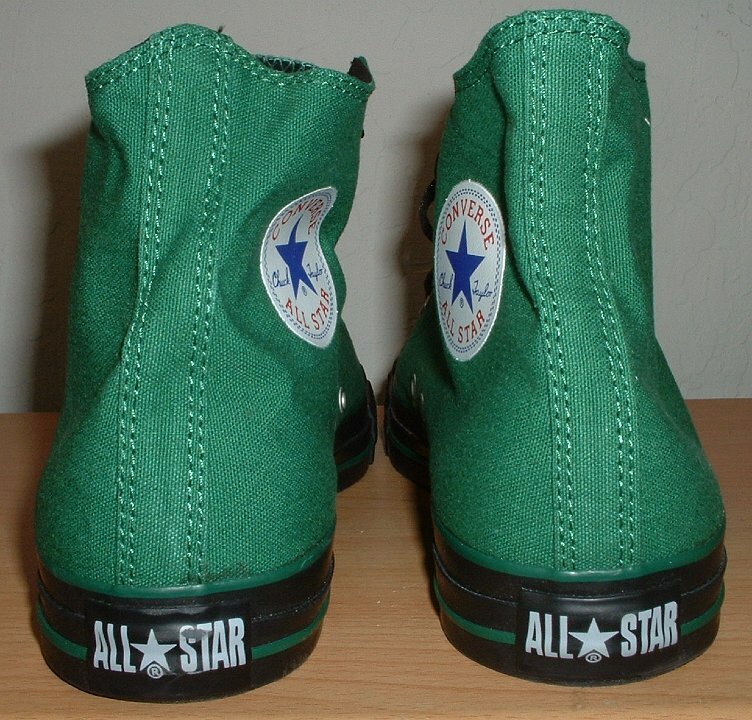 5 Goth High Top Chucks Green and black Goth high top chucks, rear view. 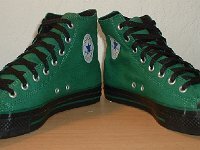 6 Goth High Top Chucks Green and black Goth high top chucks, front view. 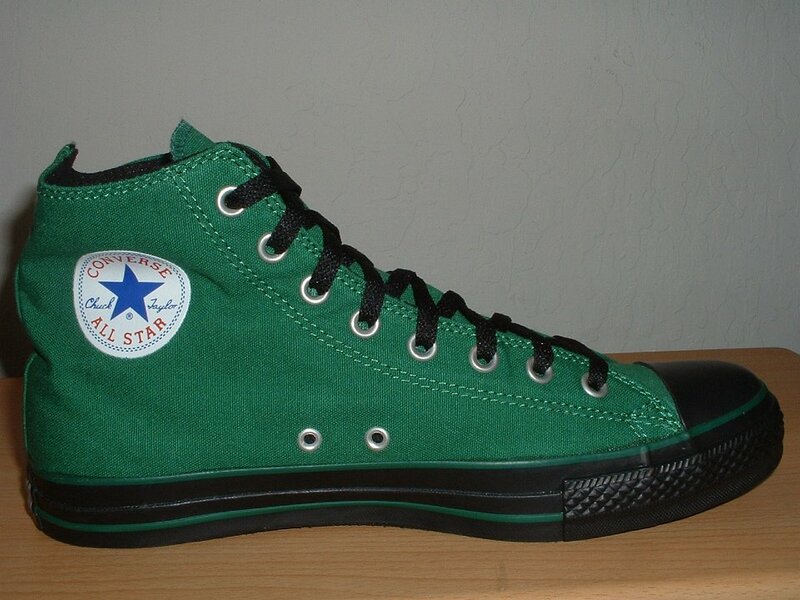 7 Goth High Top Chucks Green and black Goth high top chucks, top view. 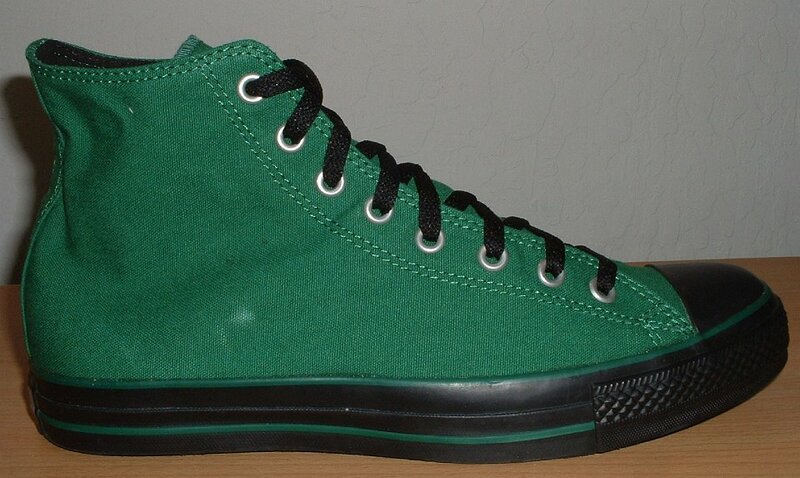 8 Goth High Top Chucks Green and black Goth high top chucks, inside patch and sole views. 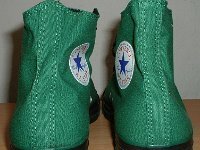 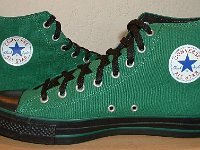 9 Goth High Top Chucks Green and black Goth high top chucks, inside patch views. 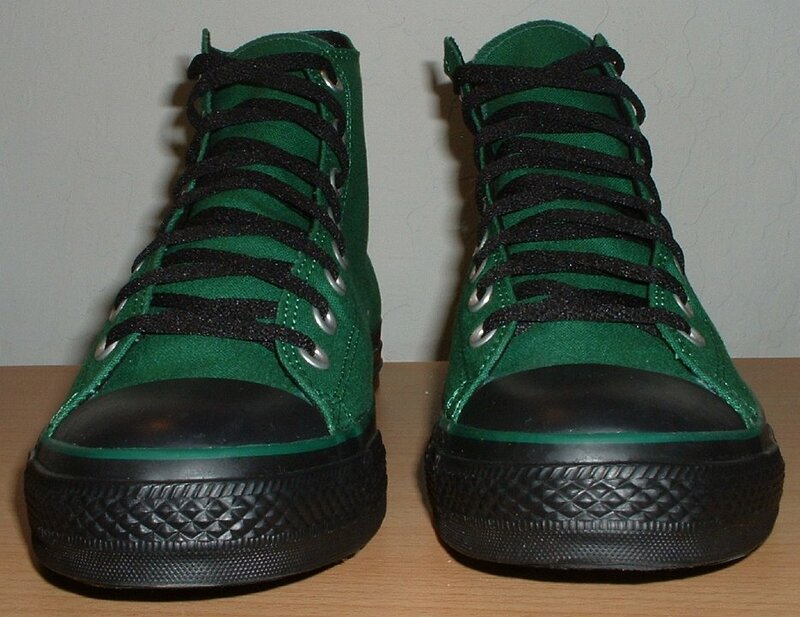 10 Goth High Top Chucks Green and black Goth high top chucks, angled front view. 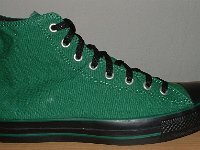 11 Goth High Top Chucks Goth chucks were also made in a pink and black model, as seen in this mismatched pair. 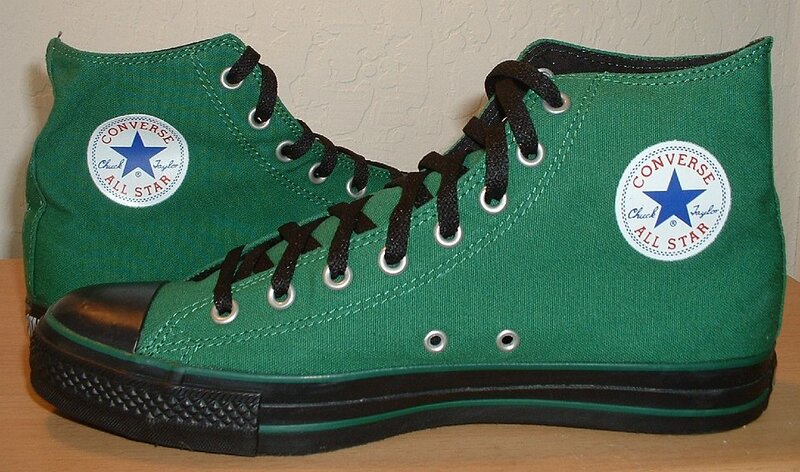 These high tops are emerald green canvas with black toe caps and outer wrap. 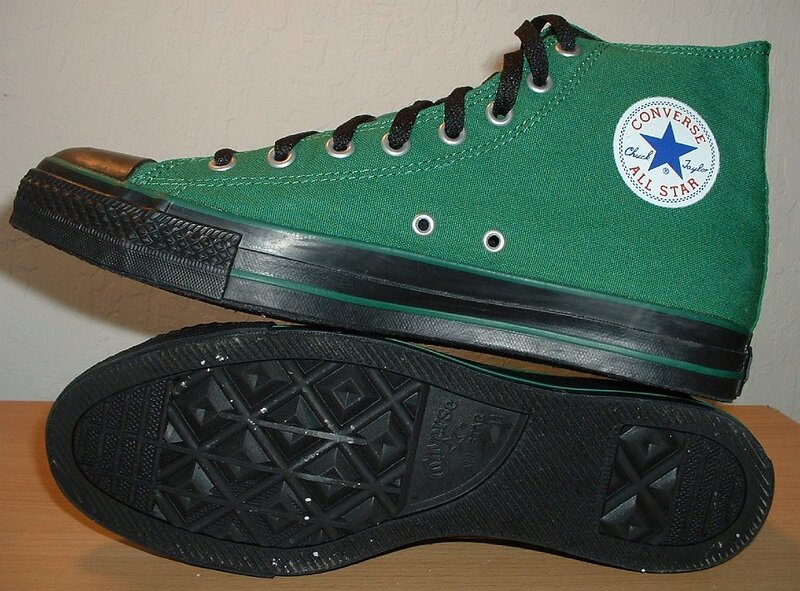 like black monochrome chucks. There is a standard black and white heel patch. 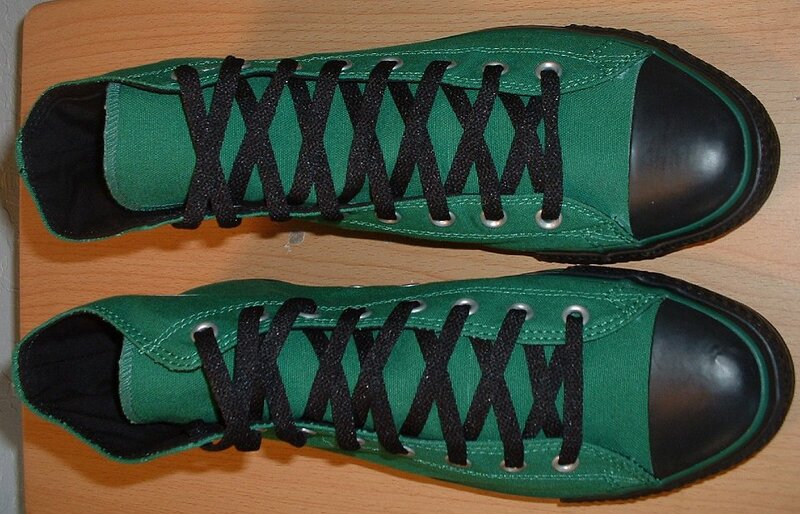 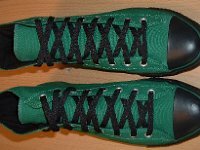 The shoes come with black laces and can be worn as high tops or rolled down (foldovers). 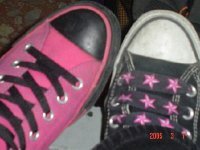 Another model was neon pink and black.